As the intervention teacher, grade levels refer students to me. Last year, I had a paper form they were supposed to fill out and give to me. I spent a lot of time contacting people and asking questions parts that weren’t filled in. I decided this year that I’m going to collect all of the information on Google Forms. I created a free website using Weebly and embedded the Google Forms on the site. This way, with fields being required, I should get all the info at once. 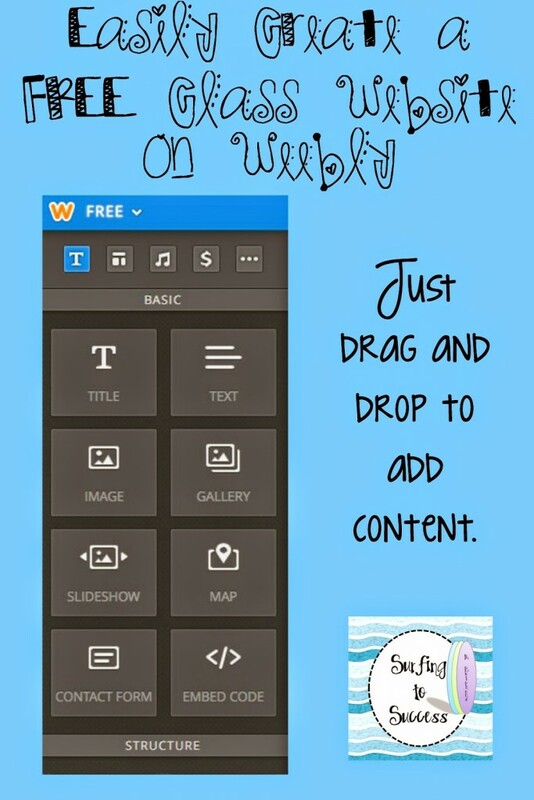 Weebly is a site that allows you to create a free website. Honestly, I find it much easier to use that Google Blogger. Once I created my website, I was able to quickly embed Google Forms I created. I just dragged the EMBED CODE box onto a page on the website and presto! Now when I need a referral or other info from teachers, they can fill out the form on the site and it will compile the information for me. I’m using this for teachers, but possible uses are endless. You can create forms for students, parents, or teachers to fill out any time you need info. If you haven’t used Google Forms, don’t worry, I’ll be blogging about that tomorrow. I also set up a tab on my website to easily embed YouTube videos I use regularly. Sometimes those other things around the video on YouTube can be distracting for the kiddos.